It is not easy to find a perfect image to be the featured image for a blog post. Complicated license restrictions, and over-used stock images make it even harder. If you set up a theme that uses featured images and has no fallback option then you don’t want to leave a post without a featured image because then it will just show an empty box next to your post. More importantly, sometimes you just forget to add a featured image. This can look really bad on you. The simplest solution is to set a default fallback image when no featured image is found. In an earlier post we discussed how to set a default fallback image for your post thumbnails manually. In this article you will show you how to set a default featured image in WordPress using a plugin (yes no codeing required). First thing you need to do is install and activate the Default Featured Image plugin. Upon activation, the plugin adds an option under Setttings » Media to choose a default image. Upload your default image using the media uploader and save settings. This image could be any generic image, or may contain your website logo as the background. 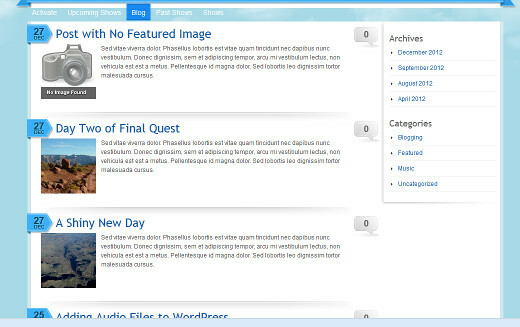 That’s all, now when your theme looks for a featured image and does not find one, it will display the default image. Please suggest me another plugin or help me to fix this error. Take a look at this tutorial to set default featured image without a plugin. Is it possible to set up default feature image for each category? Yes, and we have a handy guide on how to set default featured image for categories in WordPress. I want the default image to appear on the home slider but not on the blog page. How can I do that? I tried the technique on my blog, but does not work. The plugin does not add an option to Settings>>Media as mentioned in this article. What could be the problem? Could it be a plugin conflict? It could be a plugin conflict.